Description: Have no experience in planning a concert or a gala? 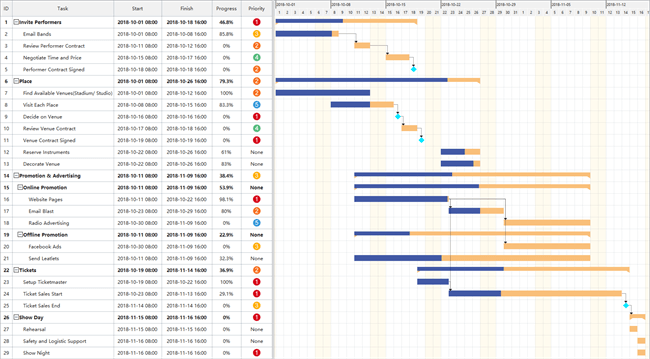 Free download the plan-a-show Gantt chart software to know how to plan and prepare a show. Inviting performers, finding a venue, promotion and advertising, selling tickets and security etc. The cost reports help you trach and analysis the cost to keep a tight budget.